“Mythologies are huge, sweeping things. And the grandest stories are those with the widest arcs of triumph and despair. As much as we may want to, we may not be able to avoid the despair – but triumph is a matter of will." DRAWING OUT THE DRAGONS was written for everyone, but this second book in The Meditations series is an advanced course in surviving the Refiner’s Fire – because some stories are too important not to share, and some stories are too meaningful to hide. If you read my last review, you'll know that I'm fairly in love with how James has found the courage to not only tell his story but to embrace it and himself. 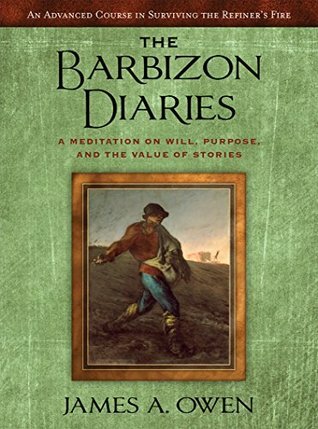 The day after I finished Drawing Out the Dragons, I started The Barbizon Diaries. It wasn't about what happened next (or in this case during since the time frames overlap), it was about finding more of myself during a period where I felt completely lost. Like James, I've had things that have happened to me in my life. So much, in fact, that people have asked me how I ever managed to survive let alone turn into a great person. Those are their words, I promise. I would never describe myself that way. The difference is that while James faced things head on, I put my head down and just tried to survive. If any of that resonates with you, please pick up this book and read it. While reading the first book would be a very good thing, this one easily stands on its own and I honestly think that there's something for everyone in there.